Want to know what happened when the Coen Brothers got let loose on Hail, Caesar? Why not let the cast tell you. Not only did they have a great time but it shows you the glory days of 50s Hollywood. When everything was possible. From dancing Sailors to massive Roman epics. It does sound that they had a ball making it. It does seem that you will have almost as much fun watching them. It’s both aparody and homage to that great era in Hollywood’s history. 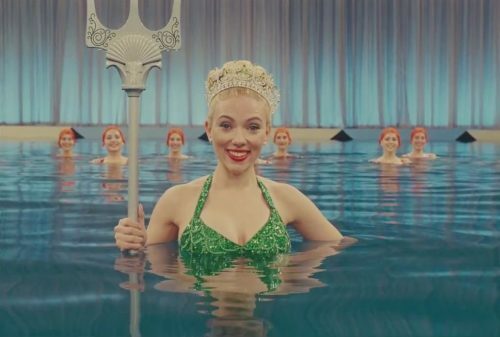 Four-time Oscar-winning filmmakers Joel and Ethan Coen write and direct Hail, Caesar!, an all-star comedy set during the latter years of Hollywood’s Golden Age. Hail, Caesar! follows a single day in the life of a studio fixer who is presented with plenty of problems to fix.